This #B03 project has been amazing, if only to illustrate how much I still have to learn about maximising my productivity. So far, I've done three things that have made a massive difference to my daily output. 1. 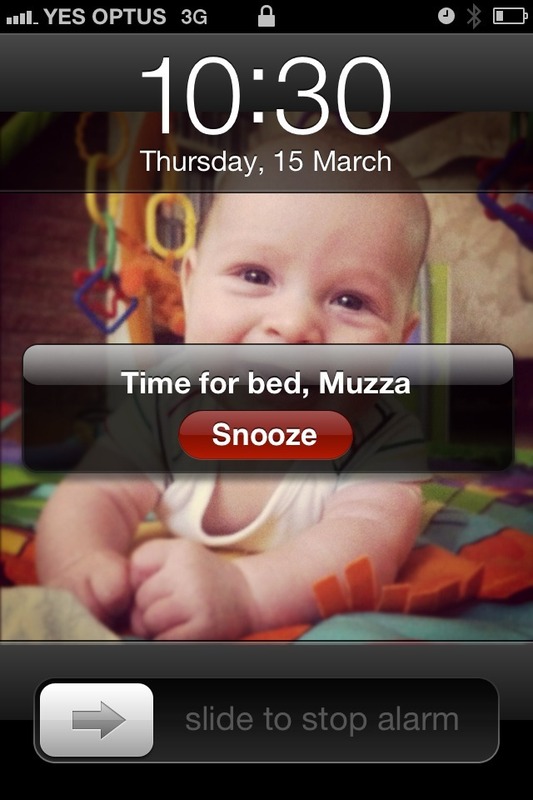 Set an alarm to be in bed earlier. Hot tip: It's not always about sleep. Going to bed signals to me and my family that the day is done and it's time to read or at least chill out completely. Pro tip: putting my son on the screen makes everything easier. Who could say no to this guy? 2. Add every task to your to-do list, then tick it off. I started using the Teux Deux app by @swissmiss and haven't looked back. I'm updating it every single day for the first time ever and loving it. Most importantly, something I've already mentioned but feel is really important... A book and process my friend & colleague Andrew Sidwell recommended called Eat That Frog. Every day, I figure out which of my tasks is the absolute worst, ugliest wart ridden piece of junk, I label it my frog and I aim to get it done first up. As soon as I've done it, other stuff just seems easier. If I've got multiple frogs, I recognise I can't do everything, so prioritising my top three and trying to delegate anything below that makes a huge difference.